No celebration or party is complete without some good old booze, or some proper wine at least. 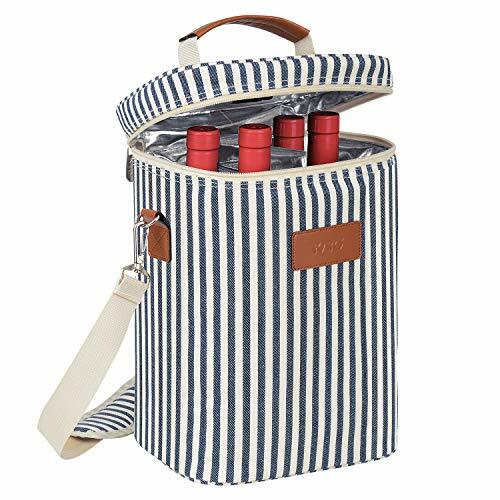 So allow your friend to bring the fun anywhere with this wine travel carrier bag. 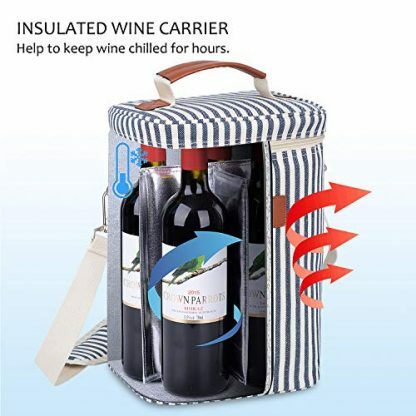 It is convenient and securely padded to keep wine bottles safe while on transit. 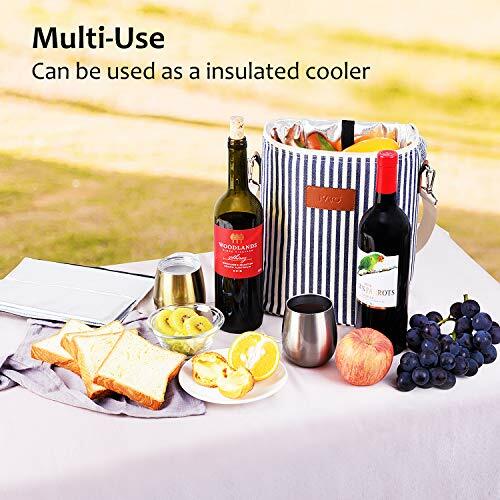 Great for transporting wines to outdoor parties, dinner celebrations and unplanned celebrations. Sometimes, your friends will randomly call and invite you to unplanned dinners and unexpected celebrations. And you know that the celebration would never be complete without some good old booze. 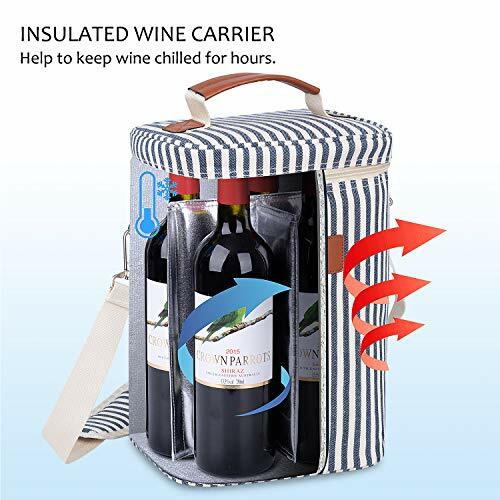 So make sure you always come prepared using this Insulated Wine Carrier Bag that can hold up to 4 bottles. 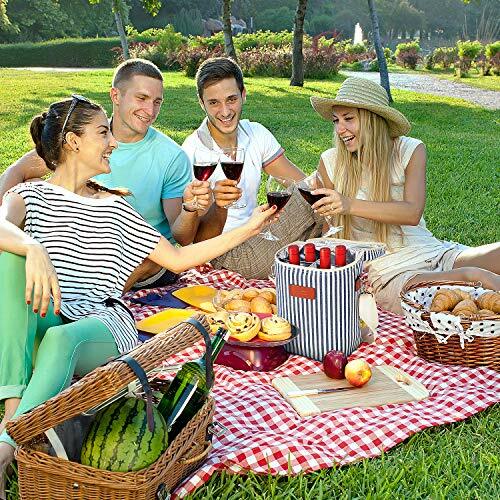 Now you can always be the life of every party – whether planned or unplanned! 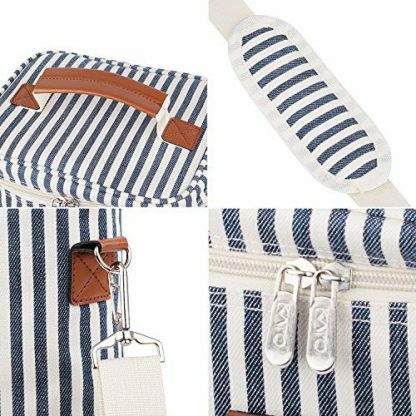 Designed to be on-the go. 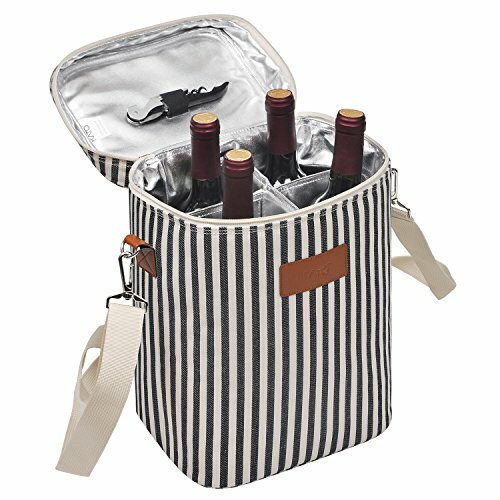 Built with a sturdy handle and adjustable shoulder strap with stainless steel buckle to help you carry your wine anywhere. It also can be folded down and packed up easily. 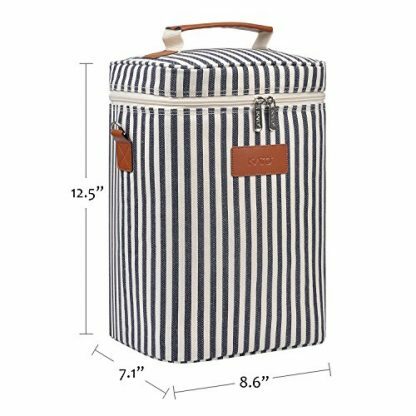 Has ample space for 4 normal sized bottles of wine – 8.6″ x 7.1″ x 12.5″ (L x W x H). 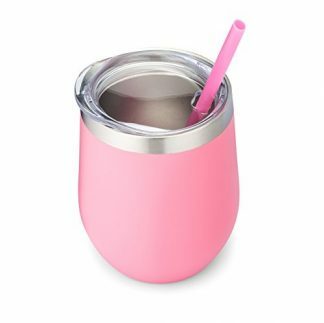 Interior is padded and thermal insulated with 5mm foam padding to protect your bottles of wine from external collision, and keep it chilled for several hours. Padded dividers are also built to keep each bottle separate from each other. 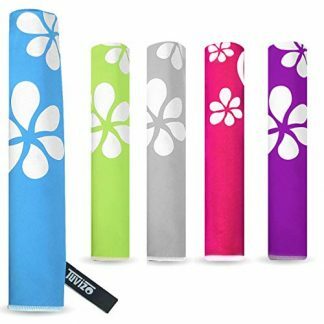 Surface fabric is made from 600D polyester for a sturdy and durable support. 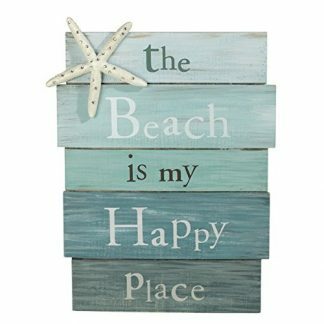 Available in 4 different colors: Black, Gray, Stripes and Camouflage designs. Got called to unplanned dinners and occasions? No worries. 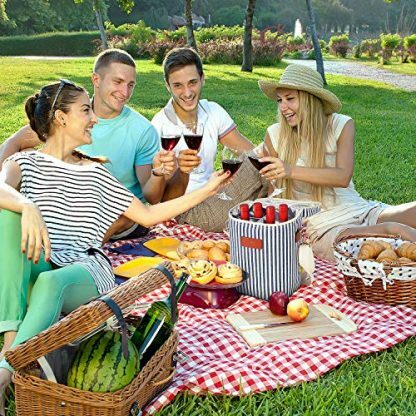 You and your guests will still have a fun time with your favorite drinks at hand! Just make sure to reserve stocks of wine at home, and you’ll be good to go with this insulated wine carrier bag! 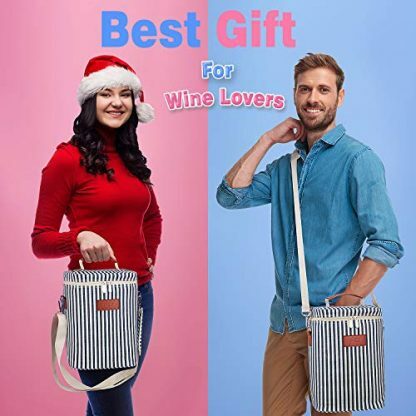 If you are looking for the perfect gift for a friend who loves wine, travel and parties, then this might be it. It can hold up their favorite drinks, and is easy to carry around to pool/beach parties, outdoor travels, barbecue parties, house parties, and camping sessions. Great to be given as a gift during the Holidays (alongside with free wine of course), birthdays, Thanksgiving celebrations and other occasions!